No kid on earth is more excited by new toys than a toddler. Everything is exciting to them, and they often want to try things that are just a little bit out of their age range. If they’ve seen an older sibling or neighbor riding a scooter up and down the sidewalk, chances are they’ve begged you for one of their own. But a traditional scooter is made for a child over the age of six and can be dangerous for a toddler. In this guide, we’ve rounded up the best scooters for toddlers and reviewed them, so that you can find the best option for your little one. We’ll also cover what makes a scooter right for a toddler, and how you can choose the right choice for your child. YBike GLX Pro Scooter 4.5 Very stable to balance Check on Amazon! Radio Flyer My 1st Scooter 4.5 Perfectly manageable for very young riders Check on Amazon! Micro Mini Original Kick Scooter 4.5 Teaches kids how to steer Check on Amazon! 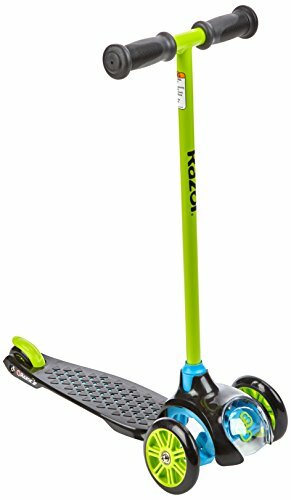 Razor Jr. Lil' Kick Scooter 4 Very durable welded-steel frame Check on Amazon! 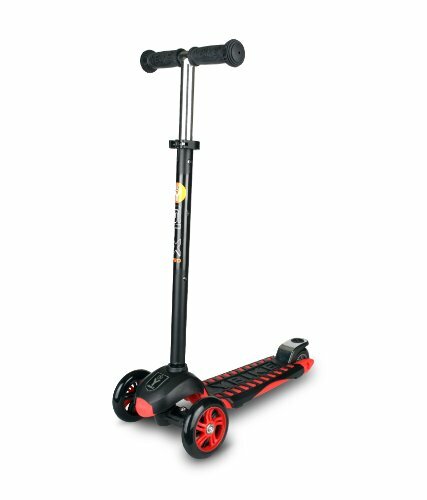 Micro Mini Deluxe Kick Scooter 4.5 Adjustable height and anti-slip deck Check on Amazon! 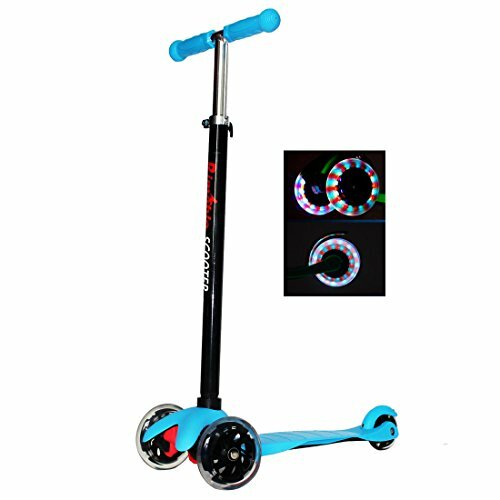 Rimable Kids 3 Wheel Mini Kick Scooter 4.5 Adjustable height and light up wheels Check on Amazon! LaScoota 2-in-1 Kick Scooter 5 Removable seat Check on Amazon! Razor Jr. Folding Kiddie Kick Scooter 4 Rear fenders to protect feet Check on Amazon! Radio Flyer Color FX EZ Glider 3 Wheel Scooter 4.5 Good balance between safety and speed Check on Amazon! Globber Primo 3 Wheel Scooter 4.5 Adjustable height Check on Amazon! 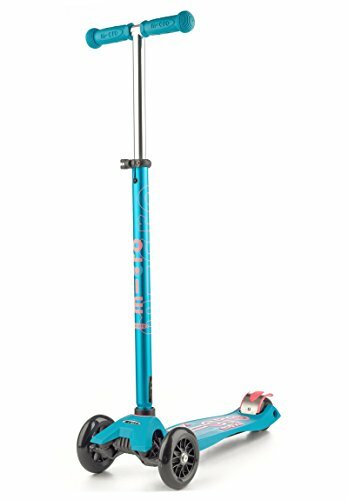 Micro Mini 2-Go Deluxe Scooter 4.5 Grows with your child through 3 stages Check on Amazon! Razor Jr. T3 Scooter 4 Good all-around scooter for the price Check on Amazon! 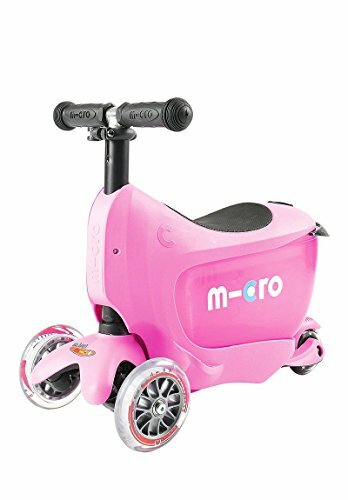 Micro Maxi Deluxe Kick Scooter 5 Perfect for kids that grow fast Check on Amazon! 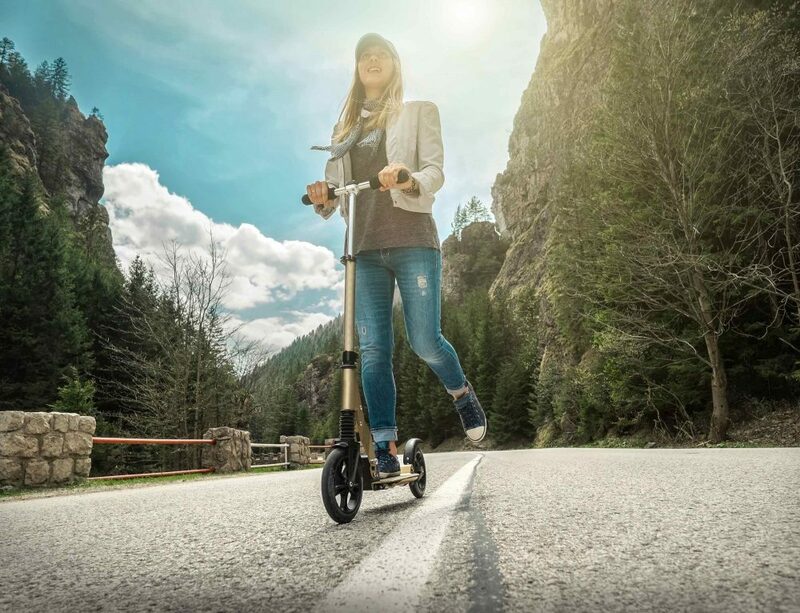 Globber Elite 3 Wheel Folding Scooter 4.5 Portability Check on Amazon! 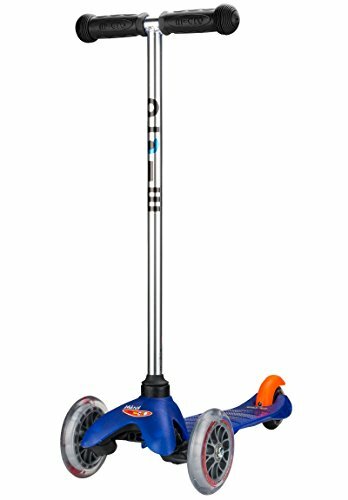 Razor Jr. Mini Mod Electric Scooter 3.5 Safe electric ride for small toddlers Check on Amazon! Now let’s dive into what makes these scooters so great for toddlers. You’ll be able to find the perfect scooter for your little one in this list or have a great idea of what you do want in a toddler scooter after you see what the market has to offer. There are many reasons why the YBike GLX Pro has made our list. First, it features extremely durable aluminum parts that last under heavy wear and tear. It has a smooth ride that helps keep your toddler feeling confident as they sail along, and the handlebars do adjust up and down to suit any toddler. 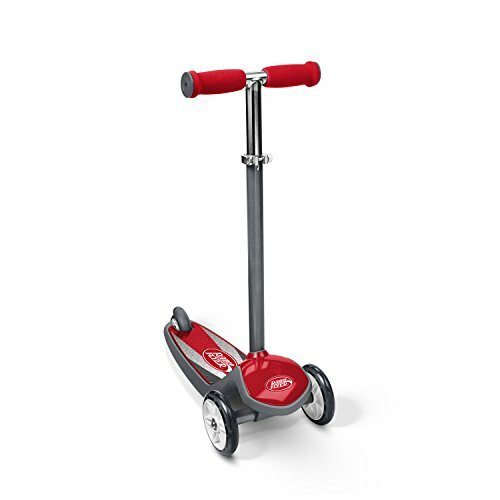 This scooter is also ideal for teaching a little one how to turn and move around because it is extra stable in turns as well. 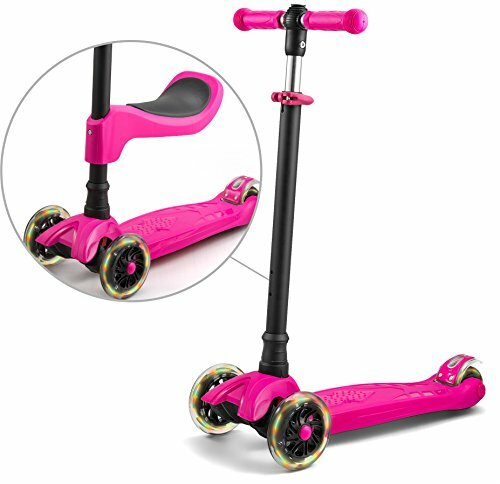 The color combinations are all fairly gender neutral, so it’s easy for parents or other adults to buy this scooter as a gift, and the deck has super grippy tape to make it even safer to ride. 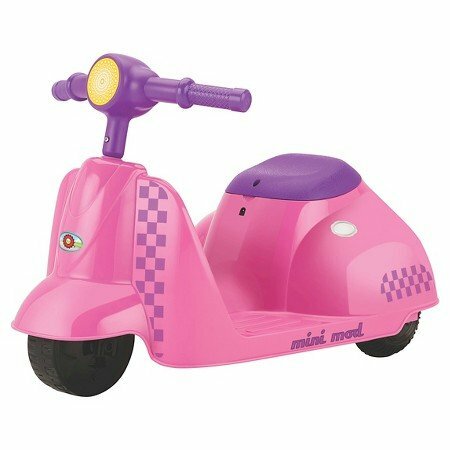 Additionally, the scooter can be painted on later to make it more unique to your child. The only downside to this scooter is that it does have a brake on the rear that can be taken down to make it easier to use. But if you do this, you do run the risk of the brake wearing down much faster than it is meant to. 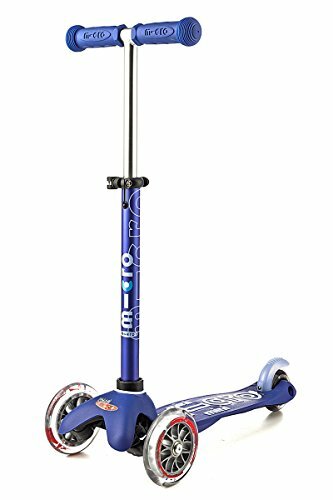 Overall, this is a great start scooter for a young child and can grow with them for a few years. Love the look of the classic little red wagon? Radio Flyer also makes toddler scooters! My 1st Scooter is exactly what it sounds like – the perfect first scooter for a little one. This scooter can support any child up to 50 pounds and features a very stylish design that you’ll like being seen with at the park. The deck is extra wide so that the child can more easily use it – although that does make the scooter feel a bit more bulky than other, more portable options. This scooter is not adjustable, but it does have ergonomic hand grips and a very easy to use footbrake to keep your child more comfortable. It’s also extremely lightweight. The wheels are also set very wide, which can make the turning radius pretty wide – but the upside is that it gives your child a chance to really develop their psychomotor skills. Overall, this is a very good first scooter, especially for a stylish kid. Do you want to give your little one a jumpstart on learning sports like surfing, skating, or snowboarding? This scooter is a uniquely designed toddler scooter that uses the same mechanism of steering with the body, as many other popular extreme sports. The board was designed by Micro Mini, one of the leading scooter brands, specifically to teach toddlers how to shift their body weight to steer their board. It works a lot like a surfboard with a handle, in other words. It is great for kids that need to learn their right from their left, and for developing special and physical skills. 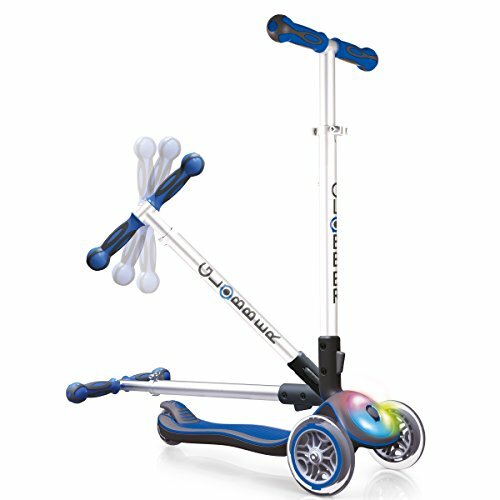 This scooter also comes in an array of fun colors and has a very smooth and quiet ride thanks to the high grade wheels. It is very lightweight but can support up to 44 pounds. The two big drawbacks are that it won’t grow with your child, and that it’s not the greatest ride on surfaces that aren’t smooth. This scooter is best for a toddler that needs to learn while they play, so that they can enjoy other sports in the future. Razor continues to blow it out of the water with their toddler scooters. This list is full of Razor models, and the portable Jr. Lil Kick is another great one for the list. This scooter is designed for a child over three, and under 45 pounds. It features a very low clearance at the back, where the wide wheels give plenty of room for the child’s foot when scooting. The padded T-bar is an added safety feature for kids, and the entire thing is made of very sturdy welded steel. This deck is also one of the widest that we’ve seen on a toddler scooter, so there is plenty of space for their feet, even when standing with their feet side by side. The scooter doesn’t have a lot of flashy extras, but for a standard toddler scooter, it is one of the best on the market. Another great option from Micro Mini, this scooter features some things that make it a great value for parents. It has an adjustable handlebar so that the scooter can grow with your child. 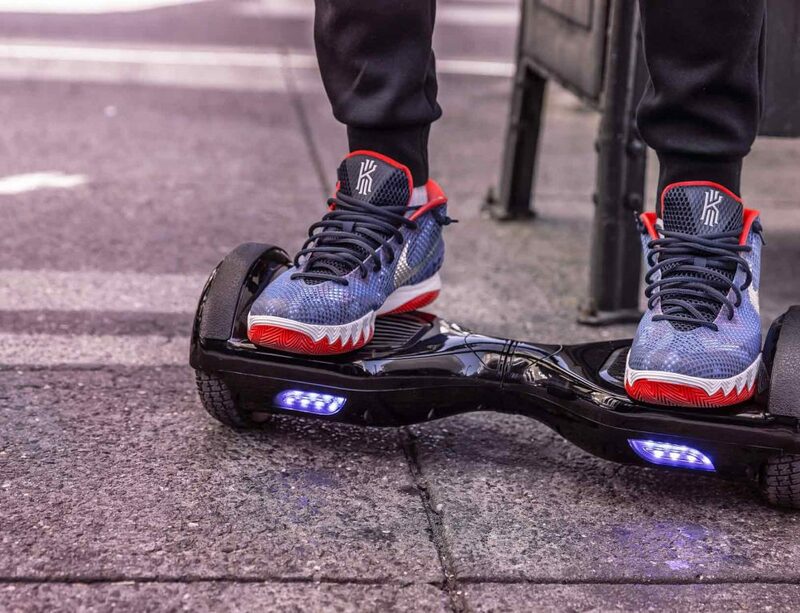 It also features an anti-slip deck to keep your child stable as they ride. This is an excellent option if you want one toy to grow with your child, because it can support up to 75 pounds. The scooter also features all the things that make a toddler toy safe, such as a low deck, a wide area for the feet, smooth wheels, and a lean-to-steer mechanism. 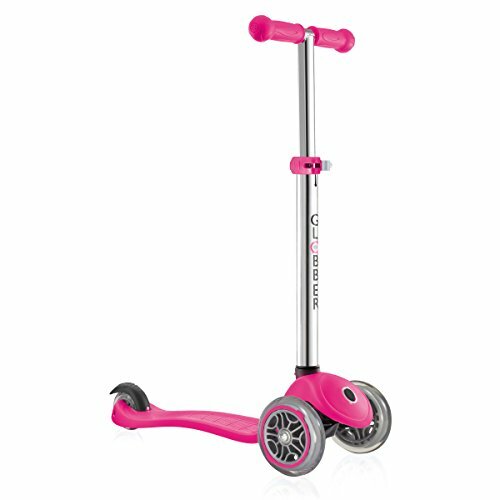 This scooter is made of fiberglass for durability and flexibility so that children have more control as they turn. If your child gets a kick out of fancy extras, this scooter is for them. While you’ll love the adjustable height handlebars, they will go crazy for the light up wheels. 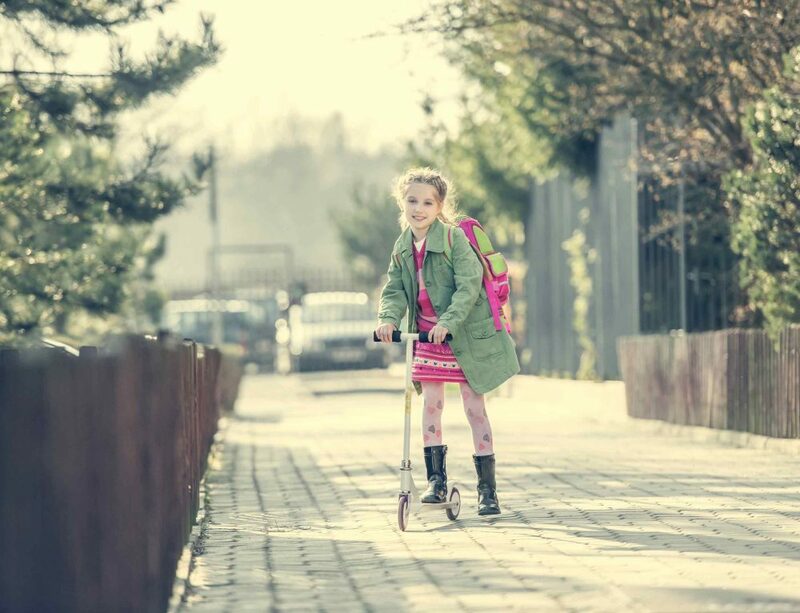 Anytime your child scoots, the two front LED wheels light up, making their path extra cool. It uses a toddler-friendly lean-to-steer method, which makes it a great option for a beginner. Combined with the adjustable height, this is a perfect investment for a parent with a young toddler that wants one toy to last the next couple of years at least. The lights aren’t super visible in the daylight, but they are a lot of fun nonetheless. If you want a good first scooter for a child that is at least three, and you want to impress them with a cool feature, this is the scooter for you. Made to last for many years, this is a rough-and-tumble scooter with one very cool feature. It comes with an attachable seat that clips onto the steering column. It can be removed when your child wants to scoot standing up or put back on if you want to use this scooter for two children of similar ages. The T-bar is adjustable so that it works for many heights, which means that it will last for a lot longer. There are four height options altogether for sitting or standing because the deck can be adjusted in height as well. When we say this will grow with your child, we mean it. It is rated for kids all the way from age two to age 10. It has a lean-to-steer mechanism so it’s easy to learn. The wheels on this scooter also flash as your toddler rides, so it’s lots of fun for them and keeps them visible to cars. The brake in the back can help the ride stay safer, and the scooter can support up to 110 pounds altogether. For the price, this is a fantastic option – very durable, very adjustable, and perfect for kids with mobility issues. The only real downside is that the included helmet is pretty flimsy. Ditch it and get a new one, and you have the perfect gift for a kid of any age. Looking for a scooter that lets your little one feel like one of the big kids? Razor is one of the leading manufacturers of scooters for kids of all ages, and this toddler-sized version of their classic folding kick scooter is just the thing for a young sibling. It features a foldable steering column so that it can be carried to the park or events and is made with aluminum and high-grade steel to make it very durable. That being said, it is not overly heavy, and can be easily ridden by any child under 45 pounds. It has a slip-resistant deck, wide wheels, and comfortable foam handles. The notable feature on this one is the fender covering the rear wheels, to keep their feet and pants from getting caught by the rolling wheel. The downside to this scooter is that it is not adjustable, so it won’t grow with your child. The fact that the two wheels are on the rear do make this scooter look more like a big kid’s scooter; but it also means that the scooter isn’t quite as smooth to ride as one with two wheels in the front. Overall, this is a good scooter for a kid that really wants to ride with the big kids. When we tell you that this scooter is designed to balance safety with speed, you may not be inclined to buy it right away. After all, a toddler and speed don’t really mix. But this scooter isn’t trying to help your little one go flying down the highway. Instead, it just features some of the best quality wheels on any toddler scooter on the market, and that makes it ride smoothly and with a bit of speed on smooth surfaces. However, to combat this, Radio Flyer added in some great safety features. 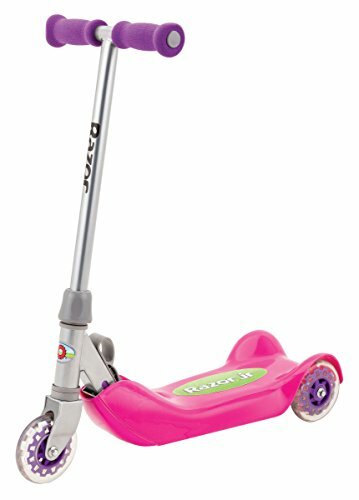 This scooter features a very heavy duty deck with good grip, an adjustable handlebar so you can make sure your child is holding on tight, and a foot brake. It also has soft hand grips made from foam to keep your child’s hands comfortable. This scooter is made with a lean-to-steer design so that your child can build up balance and motor skills. It also has a very wide deck to allow for plenty of room as your toddler rides. This is the sturdiest scooter on our list, ideal for parents that want their kid to be able to use this scooter well into later childhood. In fact, with a supported maximum weight of 110 pounds, this scooter could even be used by young teens in some cases. It has a steel plate reinforcing the deck, and an adjustable handlebar to keep it growing with your child. It also has a lock that keeps the scooter a little more stable and balanced while it is being ridden – this essentially turns this handle-bar-steering system into a lean-to-steer system by locking the T-bar into place so that the child has to lean to steer. The overall construction is very weatherproof, with smooth polyurethane wheels and that makes it very quiet. 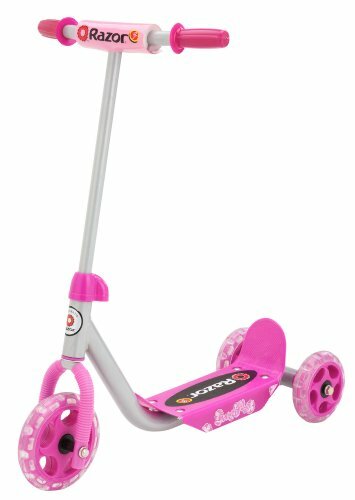 While it’s not ideal for a very young toddler, this is an excellent choice for an older toddler that is growing fast, or a young child that still needs some help learning to correctly balance a scooter. It isn’t the most portable scooter on the list, and the brake can cause the rear wheel to wear out fast if used a lot. But these two flaws are the only things that stop this scooter from being perfect. Need a toddler scooter for a very young toddler? The Micro Mini 2-Go model is ideal. It starts off as a low-to-the-ground seated scooter for 18-month-olds. Then in transitions into a scooter that still has a seat but is up higher so the child is in more of a standing position, for three-year-olds. Finally, the seat is totally removed, and the scooter becomes a fully standing scooter for a child around the age of five. This is perfect for growing with a child all the way up until they reach about five and are ready to move on to a scooter meant for elementary-aged children. In the first position, the seat includes a built-in storage compartment, so your child can tote around their toys or a snack while they scoot. This scooter is made of tough, durable components to last for that entire toddler stage of life, so there’s no need to worry that you’ll be buying a new one. Of all the scooters on our list, this one is perhaps the one that will attract the most buyers. Why? Because of the price. It is just right at its less than $50 price tag, but it still offers quality components. 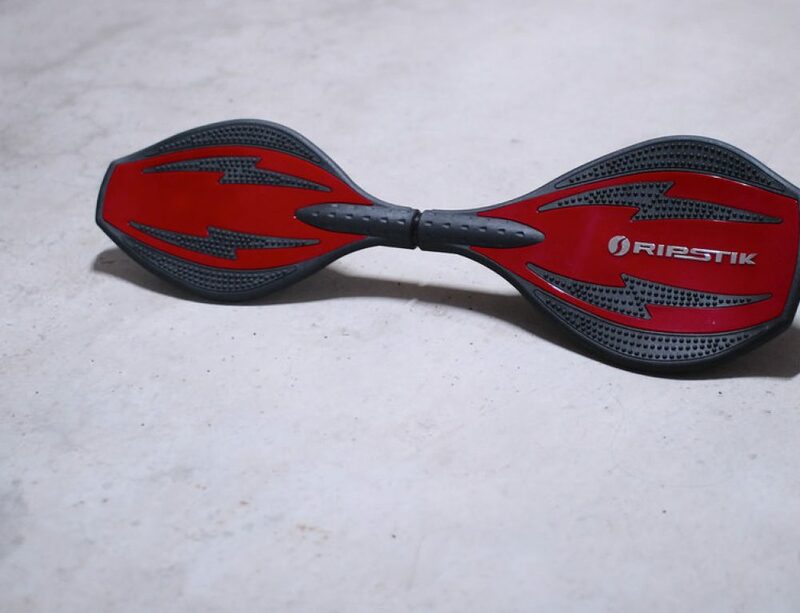 The handle bars are soft rubber, the deck is flexible polypropylene, and the wheels are strong and smooth urethane. The scooter features a lean-to-steer mechanism, as well as a rear fender brake and the ability to support up to 48 pounds. Overall, there’s not much to say about this scooter one way or the other. It’s a great toy to buy for a toddler if you want to spend your money wisely, and any kids over the age of three will love it. This is the slightly larger sibling of the traditional Micro Mini, and it’s perfect for an older toddler, just getting ready to turn five, who is a bit taller than your average toddler. Technically designed for ages six to twelve, it’s still a good option for kids on the cusp. It does still feature three wheels and an adjustable handlebar and can support up to 100 pounds. It isn’t a folding scooter, but it’s not a large scooter by any means. It can still be carried around without too much trouble. Other than that, this is a straightforward scooter with no real cons. It’s ideal for a child that needs something just a size up from the standard toddler scooter, but still needs the stability of three wheels. Yet another sturdy scooter meant to grow with your child, this toddler scooter can support up to 110 pounds. It has a reinforced steel plate in the deck and other features very similar to the standard three-wheel folding Globber. It does come with the ability to transform the steering mechanism from a moving handlebar to a lean-to-steer, which makes it great for a child that is learning to scoot as they grow. Plenty of weather proofing and durable design make this an excellent scooter for the money. The last scooter on our list is actually the only electric scooter. The Razor Jr. Mini Mod is a tiny little ride-on scooter that features a pedal-operated electric battery. When your toddler presses the pedal, the charged vehicle will go about two miles per hour. When they lift their foot off the pedal, it stops. This is a very fun way for a child to have a ride on something that does the work for them! This is a durable machine, but it doesn’t grow with your child. Once they have outgrown it, the battery won’t be able to support their weight and propel the car forward. For a young toddler, this gift will likely last for two to three years, so it’s perfect for delighting a very young child. Most scooters have the same general set of features: handle bars, a deck to stand on, two wheels, and a brake system. 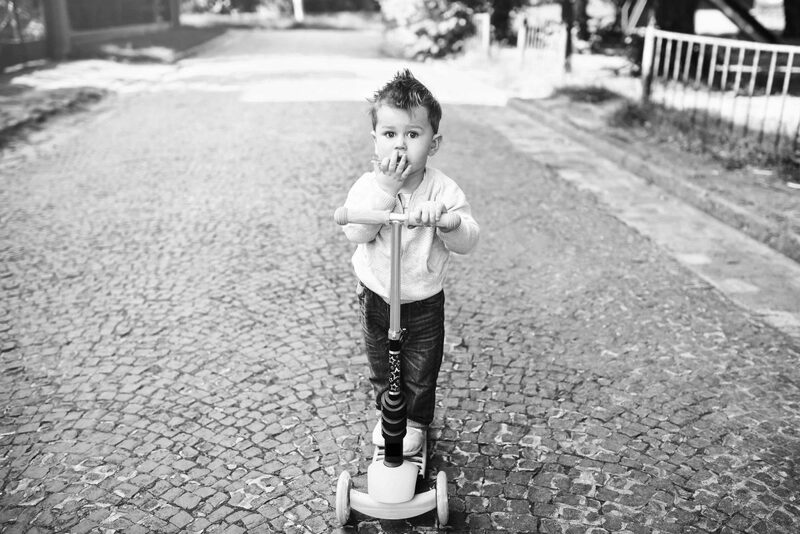 However, toddler scooters are a little different in order to keep your little one safe. First, and most importantly, toddler scooters tend to feature three wheels. Usually, you will see two wheels in the front under the handle bars, and one wheel in the back. This set up means that the rider has to do multiple things at once when riding a scooter: keep the scooter moving and control the speed, keep themselves balanced on the deck, keep the scooter upright and balanced, and control the steering. These two front wheels on a toddler scooter are very important, because they provide extra support so that your small toddler doesn’t have to balance the scooter while they also work on learning how to ride. This removes some of the difficulty and makes it a lot easier for little ones to start scooting around. Toddler wheels are always made of a tough PU material as well, so that you don’t have to worry about a tire with air getting punctured if your toddler scoots over something sharp. These are also more stable than air tires for small riders. However, one thing you can customize if you choose is the size of the wheel. This is important for choosing a scooter that will work for your toddler. The diameter of a scooter wheel for a toddler should be larger for a smoother ride. Look for wide wheels that are 120 mm or larger for the best ride. The rear wheel may not be as large, but it should be wide to add stability. The next thing you’ll want to consider is how much the scooter weighs. A toddler won’t have the strength to keep a very heavy toy moving for long, but keep in mind that older toddlers may weigh too much to ride a scooter designed for a young toddler. Additionally, remember that with a toddler, you’ll probably end up carrying the scooter around the park, yard, sidewalk, or wherever you may be. You’ll want it to be easy to transport for yourself in the moment as well. For that reason, choosing the right scooter weight usually comes down to considering the weigh capacity of the scooter. For a child under the age of three, you’ll probably be okay choosing a scooter that as little as five pounds, because it should support up to 30 pounds. However, if your child is over three, and you want to make sure the toy grows with them past the age of five, consider choosing one that can withstand over 40 or 50 pounds. There are even toddler scooters that can withstand up to 100 pounds. If you want your child to be able to ride their scooter into elementary-school aged, consider going with a heavier scooter – but only if your child will be able to ride it now. Toddler scooter decks are different from traditional scooter decks. They tend to be much wider to allow the entire foot to stand on the deck at any angle. This gives the toddler more stability if they stand to ride and gives them room to pick up their kicking foot and cruise when they are riding with both feet on the deck. The deck is also much lower to the ground so that your toddler is able to feel safer. Look for a short, wide deck for the right stability for a toddler. The next thing to consider is whether or not you want your toddler to have a seated option on their scooter. You can find toddler scooters that have an attachable seat, which later comes off so they can ride standing up. You can also find scooters that are just seated for toddlers. In either case, look for sturdy plastic that will keep your toddler comfortable and stable as they ride. The next thing to consider is how high the handlebars are on the scooter. Many toddler scooters have adjustable handlebars so that you can make the scooter grow you’re your child. However, regardless of whether you choose adjustable or not, be sure the handlebars on a standing scooter reach around the waist level of your child. They should not have to hunch over as they ride, but they also shouldn’t have to reach higher than their waist. The way the scooter is steered will also depend on the handlebars. Do you want your toddler to have to turn the handlebars, like turning a bike, to steer? Or do you want them to have the more common “lean and steer” type of scooter? Lean and steer scooters are generally safer and easier because the handlebars don’t move. Toddlers have a solid place to grip as they ride, without fear of the bars turning when they want to go straight. This type of scooter allows them to make gradual turns by leaning the direction they want to go in. Overall, this is usually the best choice for toddlers. However, if you want them to be prepared for using a bike in the future, you may want to start them with a scooter that has turning handlebars. The choice is totally yours. Some scooters can be folded in half, with the handlebars laying down over the deck, to make them easier to carry with you. If your child loves to ride their scooter all over the place and you want to bring it with you to the park, visiting Grandma, or anywhere else, this is a very good feature to have. However, this does mean that there could be a chance that your toddler could unlock the scooter’s folding mechanism as they ride and cause the scooter to fold up on them. 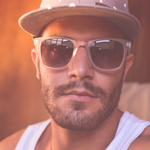 While this isn’t necessarily a huge danger, it could be scary. It could also mean that the scooter isn’t quite as durable as solid models. The next thing to think about is the color and style of the scooter, and here’s where you want to keep your child’s preferences in mind. They may love a certain color or cartoon character that is featured on a scooter. They may want something that looks like a big kid bike, or they may prefer something that makes them feel like a princess. You can even find toddler scooters with pegs for very basic tricks, if you have an older toddler. The last thing to think about when buying a scooter for a toddler is to consider the pricing. Most of the time, you can find great scooters for under $50 for a toddler. Because they grow so fast at this stage, it’s understandable that you wouldn’t want to spend too much. However, keep in mind that a toy that is a complete steal is probably not as safe or as durable as a quality scooter. As you saw above, there are several things that are built into the design of a toddler scooter that are meant to aid in keeping a younger child safe. For example, the toddler scooter has three wheels for more stability, and a wider foot deck, for more balance. They are lower to the ground to prevent falls, and the handle bars are sized to keep a toddler steady. However, there is another very important thing to do when buying a scooter for your toddler’s safety – get them a helmet. Helmets are a must for a young child riding a scooter on any surface. There is no doubt that they will fall at least once or twice, and the helmet protects the most vulnerable part of their body. Make sure the helmet fits properly, and that your child knows to never ride their scooter without it. Another important safety tip is to ensure that your child knows where to ride their scooter. They should be aware of the boundaries that you have set, such as the end of the driveway, the sidewalk, the yard, and so on. Be sure they do not ride in the road unless you are right there beside them. These tips seem like no-brainers but consider that there are scooters made for children as young as 18 months old. Scooters can actually be very beneficial for children this young. They help them to get a better grasp on balance and help them improve their motor skills. But when they are this young, they do need to have safety rules spelled out for them, and they do need to be supervised. 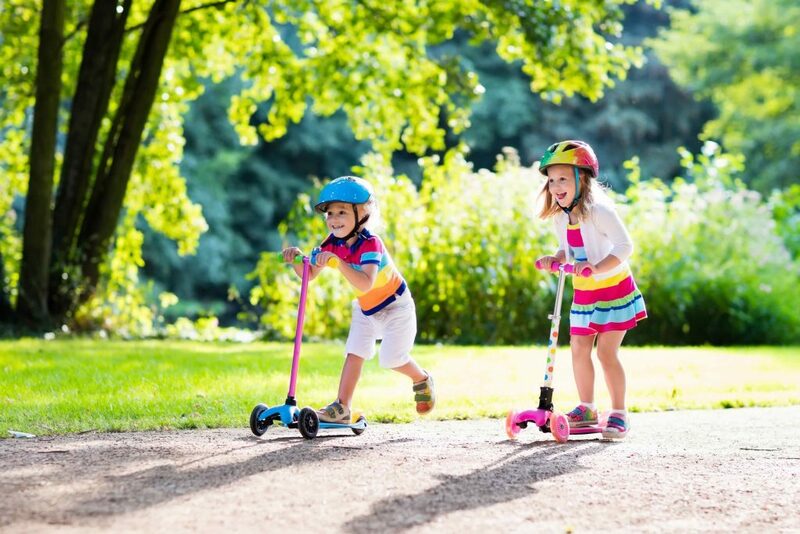 Now that you’ve seen the best toddler scooters on the market, and learned how to evaluate them for yourself, you can find a great gift for your child. Let them gain crucial motor skills and get some exercise, all while having the time of their lives on their favorite toy. 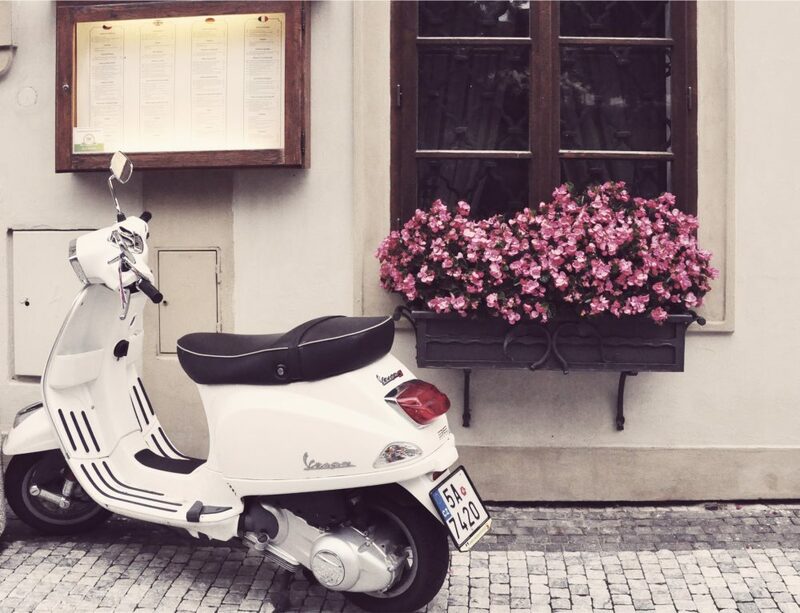 Whether you are looking for a scooter just like their big siblings’, or something just for them, our list has it all. Find the one that best suits your child and get ready to hear them begging to go outside every day.